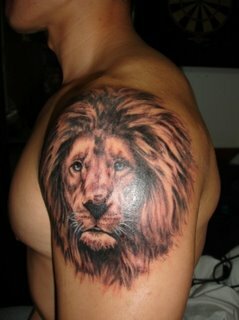 Everyone admires the magnificent king of beasts and lion tattoos on arms, shoulders, or other parts of the body are great favourites, particularly with men. 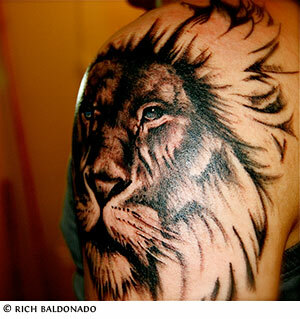 Few designs in the history of tattoos have stood for as many and diverse meanings as the lion. Symbolic meanings of the lion are manifold and well-known and amongst these are courage, strength, nobility, dignity, wisdom, leadership, and ferocity. But not all connotations are positive. They can be symbols of savagery, instilling fear in the hearts of others. They are often also considered vain and arrogant. It was the Egyptians who first linked the lion with the sun, in the likeness of the goddess known as the Eye of Ra and protector of the good, punisher of the wicked. To the ancient Greeks, the lions pulled the chariots of the gods and became protectors. In Buddhism, the lion was associated with divinity and Buddha is depicted seated on his lotus throne surrounded by eight lions, to show strength and wisdom. There is no year of the lion in Chinese astrology, but lions are held in great esteem as auspicious and sacred animals. In Hinduism the lion is worshipped as the avatar of Vishnu, while in Christianity, Jesus, known as the ‘King of Kings’, was often represented by a lion and the creature is mentioned frequently in the Bible. Those born under the zodiac sign of Leo are associated with many of the lion’s qualities – both the positive and the negative ones! The lion tattoo, whilst being very beautiful, can therefore be quite an ambiguous symbol in tattooing, so care needs to be taken in choosing the design to represent the qualities you want to portray. with spear and crown moving away from the ruins of a burning city. Celtic lion tattoos are more complex and meaningful as they are enhanced with the added significance of ancient knotwork associated with this style. 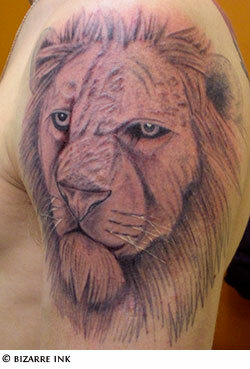 Tribal lion tattoos on arms or even the entire body are gaining in popularity. These use the stronger, thicker lines of tribal art and tattooists employ their own artistry, sometimes adding colour or varying the lines to create more unique effects. 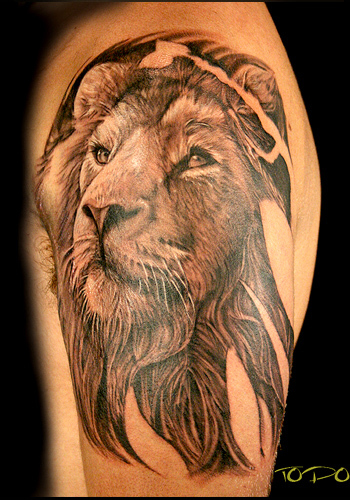 The choices to be made are not just about the style of your design and its size, whether you want to depict the entire body of the lion or just its head, there is a great deal to consider before embarking on such a tattoo; you will need to decide whether to place your lion in a setting, for example a jungle backdrop or other frame, to set it off to even better advantage. 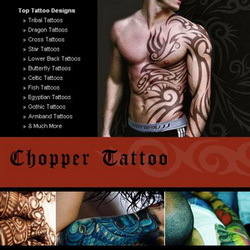 You also need to think carefully about the particular characteristics or message your tattoo will convey.